Every company has their own meeting culture, and that can be hard to break. 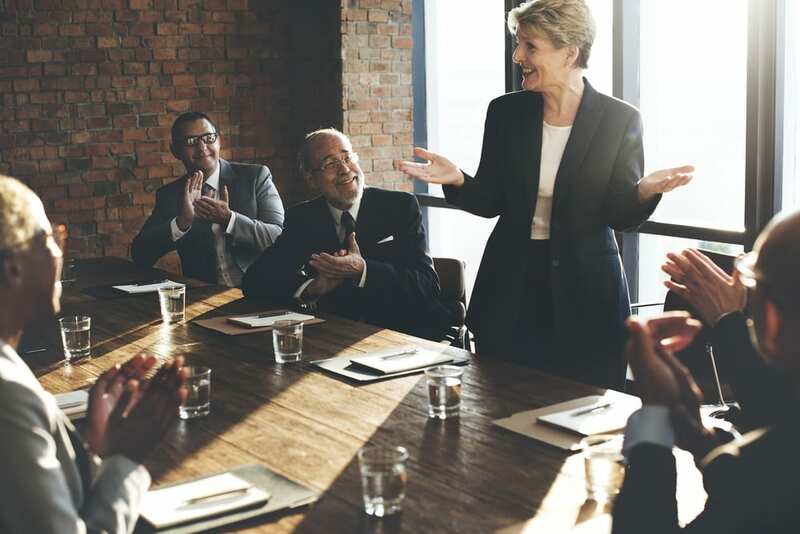 But when it comes to regular board meetings, quarterly updates, annual strategic planning meetings and any other type of recurring, highly important meeting, you want to be sure that your attendees are feeling energized and engaged rather than dreading what they’re about to walk into. Below are a few ideas to keep your recurring meetings engaging and successful. You probably remember from college that listening to the same person talk for hours on end isn’t always the most engaging activity. That’s why it helps to encourage every person in the room to share their thoughts and speak about their areas of expertise. You can even make it fun by integrating unique signs or signals for people to let the group know when they’d like to interject. A successful meeting always starts with an agenda and a set of goals for what you’d like to accomplish in the meeting. But a successful meeting is also one where everyone is on the same page. Start your meeting by going around the room and having each person share what they want to get out of their time there. Breaking out into small groups is a great way to accomplish the last two ideas of having everyone participate and making sure that each person’s goals are met. Break out into small groups based on particular goals of the meeting and allow each of those groups to tackle their own challenge. This is also a great opportunity to introduce a change of scenery by moving groups to different rooms. The NEW Center has a variety of rooms and spaces for your small groups to disperse! There’s a lot of research out there supporting the idea that physical activity helps improve focus and cognitive functions. Taking a mid-morning or mid-afternoon break for some light exercise is the perfect way to help your attendees refocus for the remainder of the agenda. The Sequoia Wellness Center here at The NEW Center is the perfect setting for activities like rock climbing or yoga. Are there any shows or movies your office is buzzing about? Maybe you have a team full of Game of Thrones fanatics or everyone is raving about the latest Spider Man movie. Think about what you can do to incorporate fun topics like these into your next meeting so that it’s out of the ordinary. This could be as simple as giving your next planning meeting a name that relates to the show or movie, or you could take it a little further with themed games, food, slideshows and more. 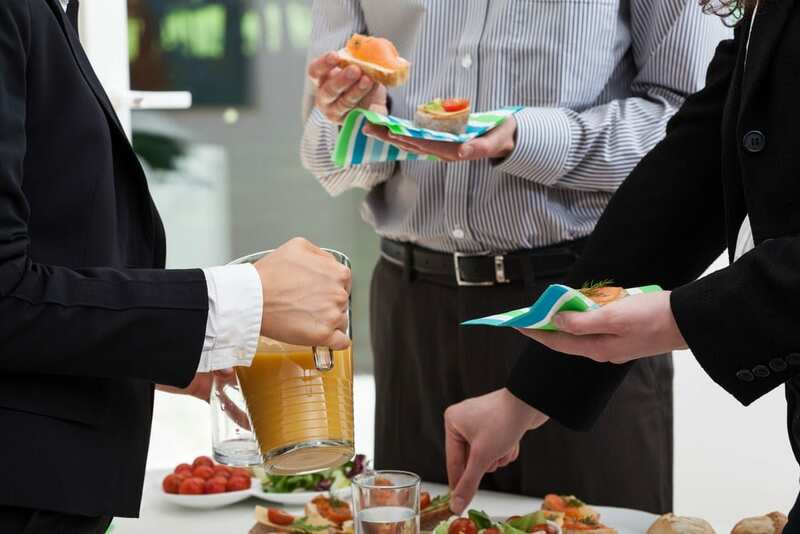 Rather than providing the usual bagels, donuts and coffee for your meetings, think about providing some healthier snacks that will fuel your attendees, such as fruit and veggie trays, nuts and other types of nutritious finger foods. Our catering team can help you plan out what types of healthy snacks and meals you want to serve throughout the day. When your team has been attending the same planning meeting quarter after quarter, in the same room, sitting on the same side of the table, eating the same donut, the meetings can start to feel dull and your team may lose sight of the importance of the meeting. Think back to your days in elementary school when you begged the teacher to have class outside. Your mind craved a change of scenery, and that’s often still the case today as an adult. The NEW Center has a stunning atrium with plenty of light, as well as a beautiful outdoor courtyard. Talk to us about we can help turn up the “wow” factor of your next corporate meeting! 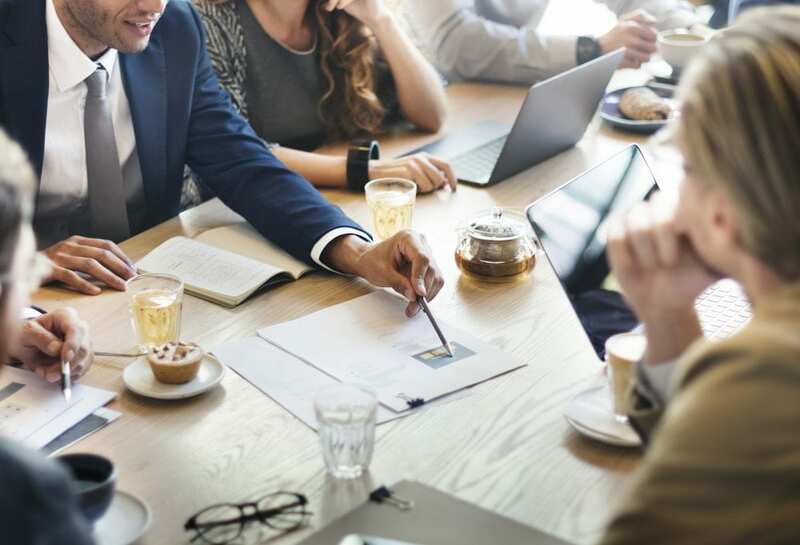 All day meetings can get tedious and it’s no surprise that your team may struggle to stay focused after hours of talking. Be sure to incorporate visual elements in your meeting to share information. This could mean using something as simple as a dry erase board or projector, or it could also mean creating striking visual elements like posters or handouts. Sitting is commonplace for corporate meetings, but consider mixing it up to keep things interesting. Standing meetings can be helpful for making sure attendees are alert and “on their toes”. You could also enforce a “stand to talk” policy in which people must get up out of their chairs to share a thought. Interested in making your meetings more engaging? We have a variety of rooms and amenities to take them up a notch so that your team actually looks forward to the next one. Contact us today to start planning!